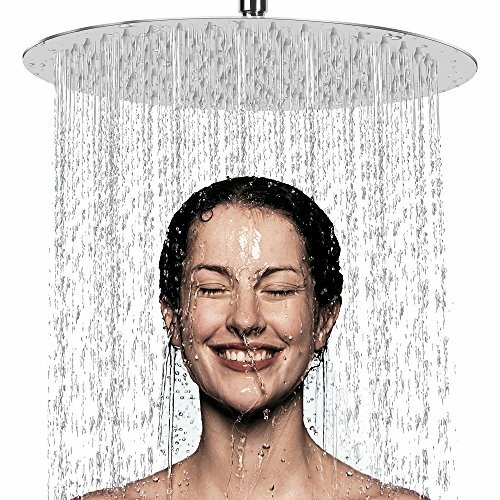 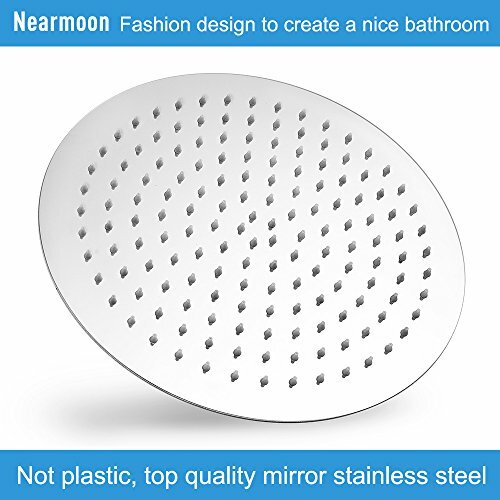 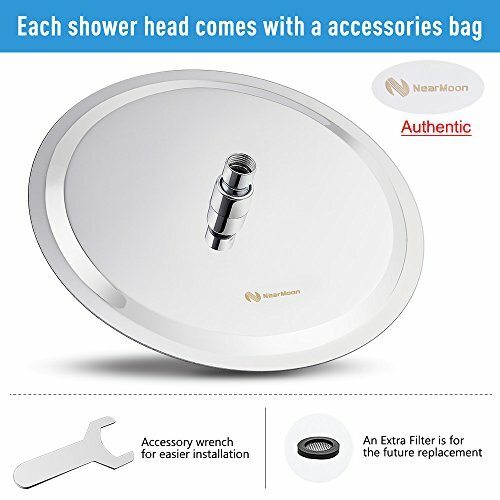 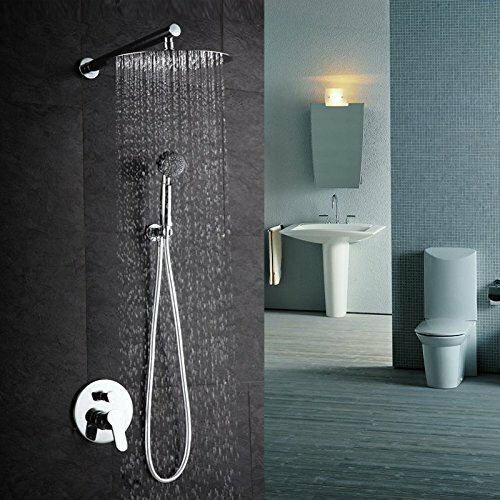 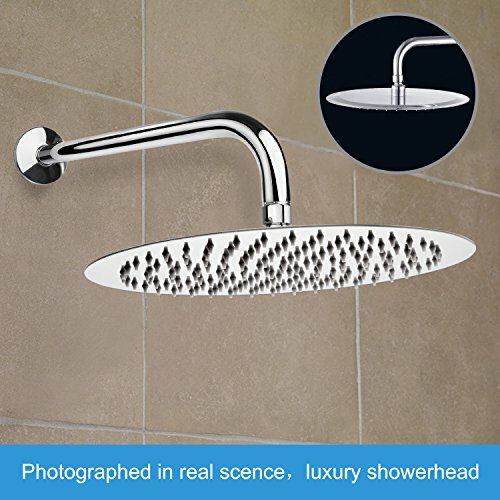 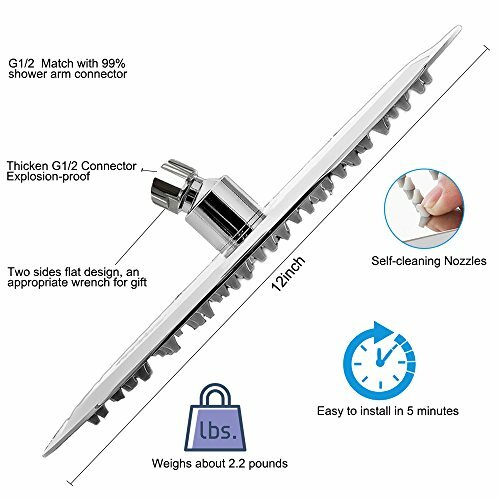  LARGE, THIN WITH HIGHPRESSURE WATER FLOW - NearMoon Shower Head is super large with 12 by 12 inch, full cover the body. 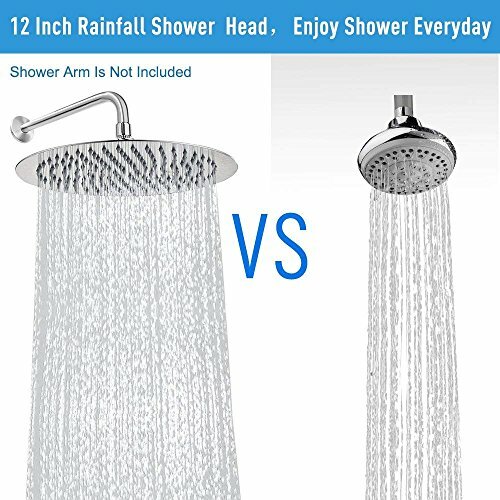 The thickness is only 0.08 inch. 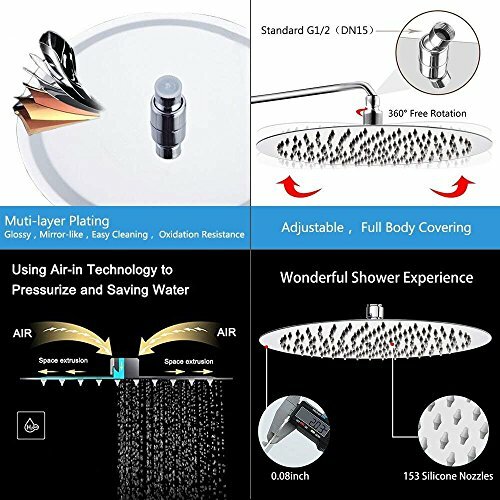 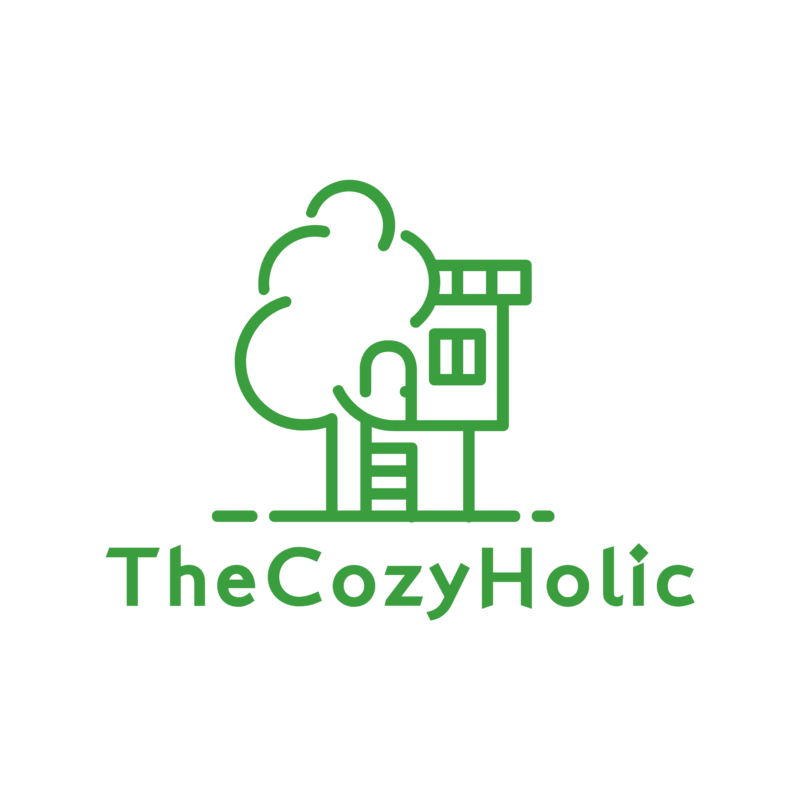 The combination of ultra-thin and air-in technology leads to strong and high pressure, optimized for any water pressure, just like full and dynamic massage to your skin.